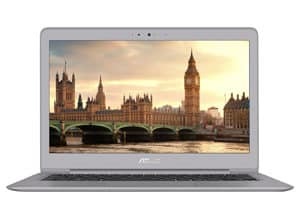 What specs should I look for in a 13 inch laptop? 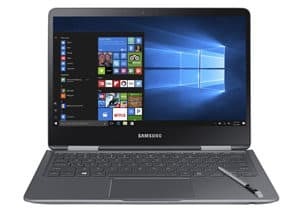 What features set each 13.3 inch laptop option apart? What operating system do I want to pick? Out of all the options, the 13 inch laptop offers optimal portability in a full computer. 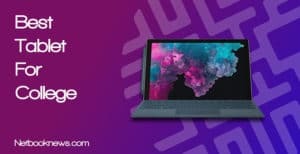 With that said, we’ve gone through dozens of makes and models to find you the top five best 13 inch laptops currently available on the market. The biggest question to answer before making a buying decision is easily whether you want a hybrid model or a traditional clamshell laptop. The cost of touch screens are going down while their functionality is constantly improving. 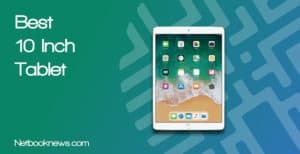 If you haven’t tried a 2-in-1 device before, now is a great time to jump in and see what the fuss is about. After deciding if you need a touch screen, it’s time to consider the main ways you intend to use a portable 13 inch laptop. Are you looking for a business notebook? A budget Are you looking for a business notebook? A budget option for school? A small laptop for browsing the web at home? option for school? A small laptop for browsing the web at home? When you’ve got your usage and screen functions sorted, there are five main contenders to consider. Each has slightly different configurations and hardware specs, so between the five you should find the perfect 13 inch laptop option! What specific features set each 13.3 inch laptop apart? 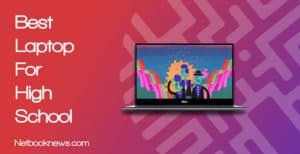 In 2018, two 13 inch laptops reign supreme over the competition, and both will meet the needs of different kinds of users. Do you prefer a 2-in-1 style computer with a touch screen? In that case, Samsung’s Notebook 9 Pro will likely be your top pick. Don’t care about the touch screen display or having a 360 degree hinge for using a laptop in tablet mode? The Asus ZenBook 13 should instead top your list of options! Are you absolutely set on the 13 inch size but can’t afford a more expensive model? This should be your pick, especially if you want to upgrade later on. There’s no way to sugar coat this hard truth — right now, your choices are very sparse at this price point. 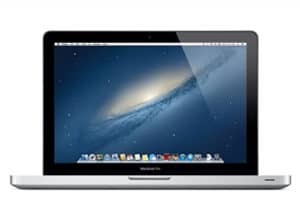 13 inch machines with modern specs don’t usually pop up until the over $600 range. Unfortunately, you just can’t expect to find an 8th gen processor and fast solid state drive at this price and with this size. 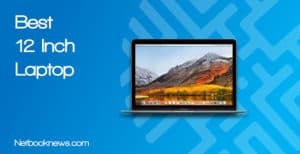 If you want a 13 inch device and have a limited budget, you’ll have to go with an older model MacBook. That’s not necessarily a bad thing though, as you can get some interesting and unusual features for a laptop of this size. For starters, this MacBook model has a DVD-RW optical drive. You will almost never find that to be true in the vast majority of 13.3 inch laptops. This is also one of the very few models of Apple products that can be easily opened up and upgraded by the end user. That’s easily one of the positive aspects most frequently mentioned by reviewers. Prefer a faster SSD over an HDD? Crack open the case and pop one in! The RAM isn’t soldered in either, so you can upgrade to 8GB when you have some extra money to buy another memory stick. Prefer Windows over the Mac OS and want to bump up to 8GB of RAM out of the box? 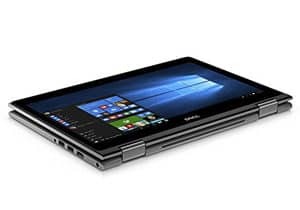 You can occasionally find 13 inch Dell Inspiron 2-in-1 machines refurbished or used under $500 at Amazon. Looking for a great Windows-based machine at 13 inches but don’t have a ton of cash to spend? This should be your pick! As with the contender listed above, it’s worth noting that most worthwhile 13 inch laptops are above this price point. You’ve got to really search hard to find a worthwhile notebook at this size and still stay under $600. You can manage it with this Dell model however, which packs some pretty hefty features into a tiny frame. By adding on a extra hundred to the price tag from the previous contender, you get drastically increased specs. An 8th gen processor and 8GB of RAM is more than adequate for most users. This one isn’t lacking in ports either, with 3 USB ports, an HDMI port, and a card reader. Apart from the ports, one feature above all others is cited by buyers as their reason for going with this machine. The Inspiron is of the few ultrabooks that can be upgraded by the end user. There’s no M.2. slot though, so you’ll have to go with a SATA drive if you want to switch to an SSD. Buyers also frequently mention that the fan is a bit loud, especially when flipped around into tablet mode and the fan is facing towards you. 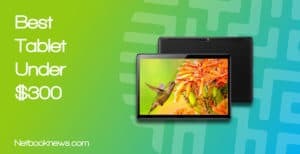 Prefer a device that can work either as a tablet or as a full laptop? You won’t find many better options than this high end Samsung model! Typically, a smaller frame means fewer features, but that’s not the case at all with Samsung’s Notebook 9 Pro. This is a top-of-the-line machine in a very slim, very light package. At under three pounds, the Notebook 9 Pro is still a sturdy and durable machine fully capable of rotating into any configuration. From flat tablet to 90 degree laptop mode to tent configuration, this one can do it all. A stylus is included, and it fits discreetly in the front of the laptop, which is incredibly useful if you prefer to utilize tablet mode. Other 2-in-1 machines have similar features though, so what sets this one apart? The 1TB SSD is key here — you can’t find a bigger solid state drive in a laptop of this size. The most frequent complaint from reviewers that the Note 9 Pro has a rather bland design for such an expensive model. When style is a critical part of your buying decision, the HP Spectre is a great 2-in-1 choice to consider instead. With no dedicated graphics card, this is clearly not meant to be a gaming machine either (see the two contenders below for that usage). For nearly any other type of user however, this is a solid pick. Want an absolutely top-notch laptop in an extremely thin design? This should be your pick if you don’t need a touch screen display. In terms of portability and overall specs, Asus has a real winner on its hands here with the ZenBook. Between the fingerprint reader, 8th gen processor, and dedicated graphics card, there isn’t much this slim machine can’t do. The graphical power pales in comparison to the Alienware listed below, however. If you want a cutting edge gaming machine, check out that contender instead. The most frequent complaint from buyers involves a slight change in the keyboard layout. Many users aren’t fans of the power button being positioned above the backspace key, so you will need to get used to that design. Note that there’s also no touch screen functionality here, which can be a big downside if you use that feature frequently. If you absolutely need the touch display, the Samsung listed above is available in a 256GB SSD version for under $1,000. Want a portable laptop with a cutting edge graphics card and extremely high resolution display? This should be your choice if you don’t mind taking out a loan! Truly powerful 13 inch gaming machines are quite rare, as typically gamers want a bigger viewing area. If you need to combine power and portability, there’s one clear winner over all others — the Alienware R13. This is a compact 13 inch ultrabook that also happens to be VR ready! Between the 16GB of RAM and GTX 1060 card, you can run pretty much anything on high settings. The 512GB SSD is a nice balance between speed and storage space, as well. Probably the biggest draw here though is the high quality OLED touch screen. Simply put, this is one of the highest resolution, best quality displays you can find. Gaming capabilities aside, there are some downsides to keep in mind. While the screen is amazing, the bezels are quite large, which is the design flaw most frequently mentioned by reviewers. One of the main reasons to pick a 13 inch laptop is to get a lighter, sleeker model. You lose out on both those features here, as this is more than double the weight of our other contenders. Don’t have a spare $2,600 lying around? The Asus laptop listed above will more than meet your needs for casual gaming. Portable computers at this size are typically referred to as ultrabooks, meaning they are ultralight and ultraportable. Those are the two main advantages in a 13 inch machine over a standard 15 inch laptop, but they come at a cost. Manufacturers have to radically change their designs to fit the same amount of parts into a smaller space. That means you end up paying a premium for this size bracket. If you are going to have to pay more anyway, you want to get the best specs possible. In general, a 13 inch laptop should have a minimum of 8GB of RAM unless you are specifically looking for a cheaper model. A solid state drive will also be a must-have feature, as their quiet operation and fast speeds work well with the slimmer 13 inch design. By going slimmer and lighter, 13 inch devices can actually offer a few extra features over larger machines. In particular, their ability to function as 2-in-1s is unparalleled. 15 – 17 inch laptops are unwieldy when held like a tablet, but 13 inch designs are perfect for holding in your hand. If you are going to pick a laptop with a touch screen, be on the lookout for a hybrid 2-in-1. These devices typically have a rotating hinge that lets them be configured in 360 degrees, but a few feature detachable keyboards instead. Besides the touch screen issue, the number and type of ports will be one of the biggest differentiating factors. Most 13 inch laptops ditch the optical drive entirely, but some give you more USB or HDMI ports in exchange. 13 inch machines run the gamut on operating system options, and which OS is right for you depends on your specific usage needs. If you primarily browse the web, send emails, and play a few freemium games, then a Chromebook with the Chrome OS will work out great. Chromebooks several limit your options on installing programs, however. If you are used to having a full range of executable programs available, then the tried and true Windows 10 will be your best option. While it may be the most prevalent OS, Windows isn’t necessarily the best operating system available. The constant updates eat up hard drive space and slow down your system, and Windows isn’t nearly as secure as Mac OS. If speed and security are your top concerns, don’t discount the MacBook. 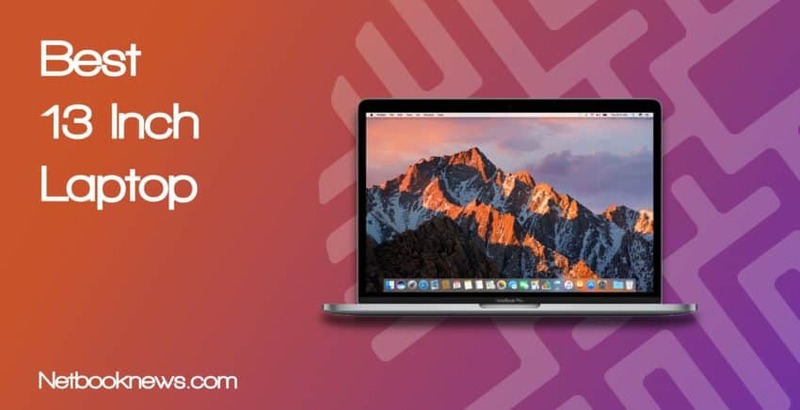 The Mac OS has all the same types of programs as Windows machines, and even a few high end video editing tools that aren’t available in Windows at all. Portability is key in any computer these days, and that’s exactly what you get with any of our top 5 contenders listed above. 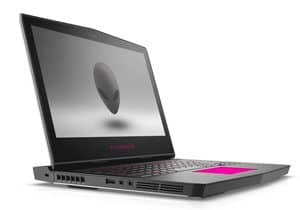 What did you think of our list of the best 13.3 inch laptops, and are you planning on picking up any of our choices? Let us know your perfect laptop specs in the comments below!